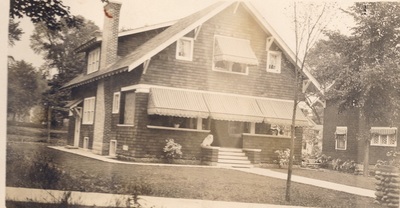 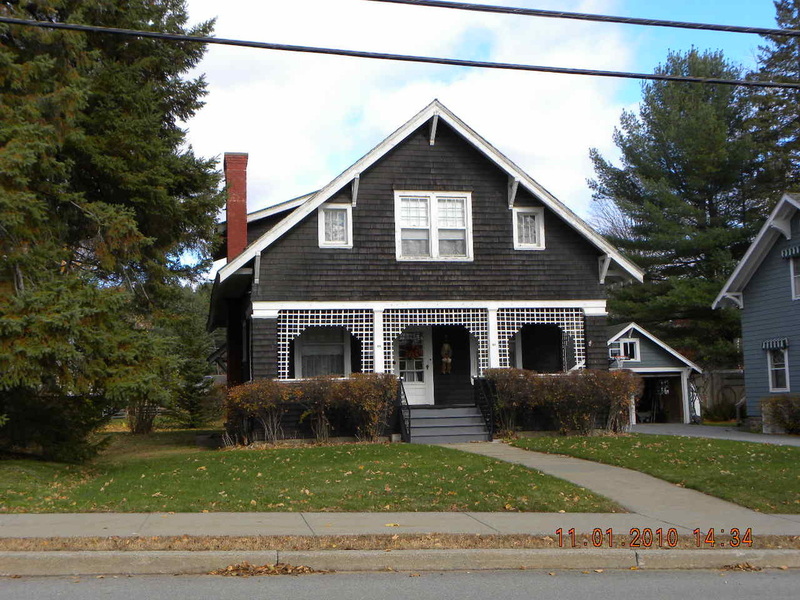 This contributing, intact and architecturally significant, c.l920 Bungalow-style residence is one of a number of contemporaneous and more high style renderings of this style on Elm Street and Library Avenue. 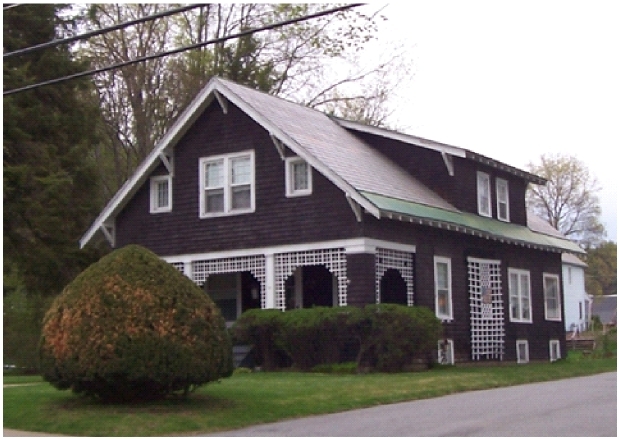 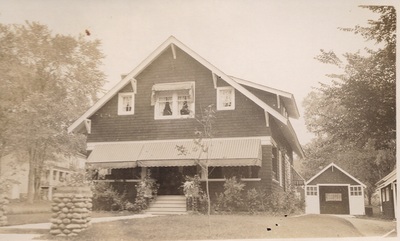 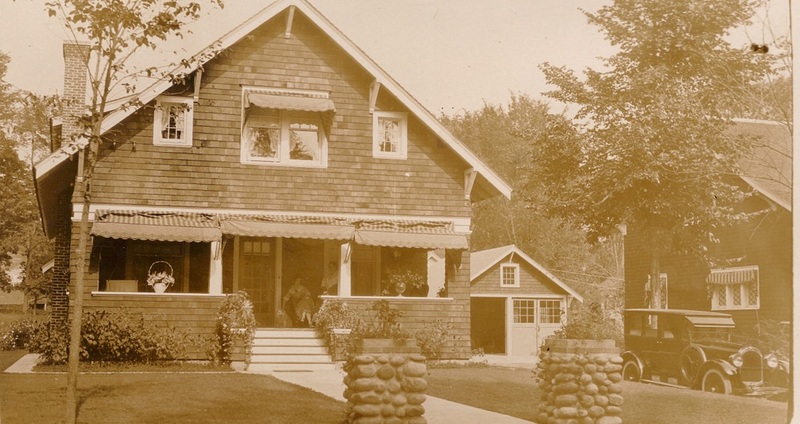 It features shingled wall cladding, decorative cornice brackets, a gable front, 1-1/2 story plan with shed roof dormer, and original multi-pane windows. 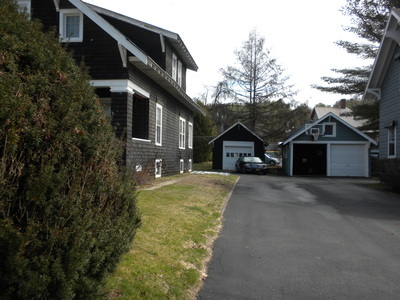 The property contains a contributing garage at the rear of the property. 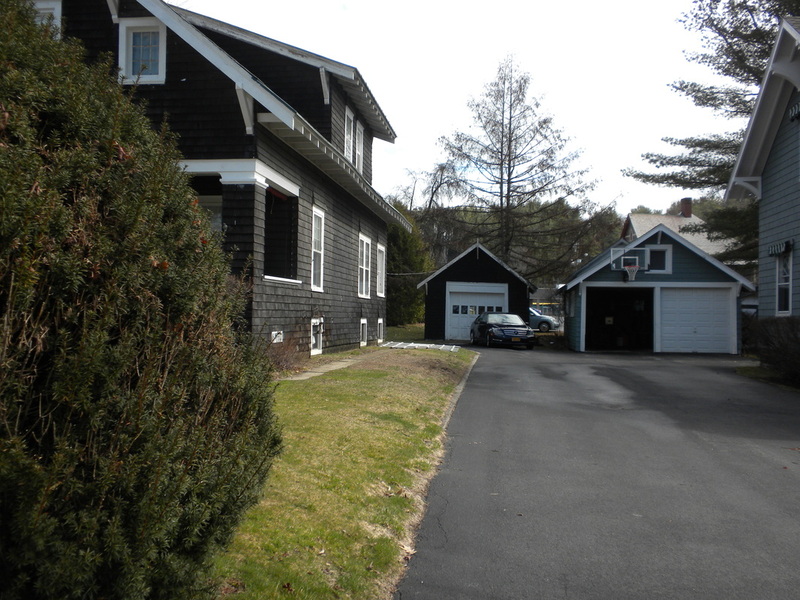 Single story with finished garret, shed roof wall dormer, wide roof overhangs with open eaves and exposed rafter tails, prominent bracketry, ganged windows, multi-light (‘prairie’ design) sash over single sash and earth-tone color.